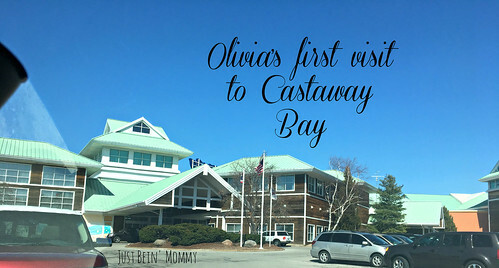 Olivia’s first Castaway Bay visit! Our family was given passes and a hotel room to facilitate this review. No other compensation was received. My opinions are my own. Do you remember your first visit to a water park? Have you ever been to an indoor water park? There is so much fun to be had at Castaway Bay. Located right by the causeway to Cedar Point, Castaway Bay is one of our favorite weekend mini-vacation locations. It take us about 2.5 hours to drive to from home and has something for everyone. 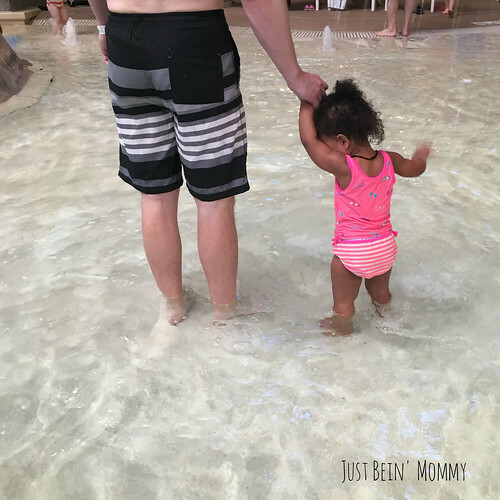 Olivia has had some swim lessons and loves to take baths so we decided it was the perfect time to introduce her to Castaway Bay. Our original plan was to spend all day Saturday at the water park but we had a couple of things to do before we left Columbus. Luckily, Castaway Bay offers late check out for an additional $50. This guaranteed we had plenty of time to play. So we took our time driving down. We arrived in time to check in and then head to Quaker Steak & Lube for dinner. The restaurant is conveniently connected to Castaway Bay so there is no need to head outside. There are also a couple of other dining options that keep you from leaving the building. On Saturday night, the water park doesn’t close until 10pm, giving us about 2 and a half hours to play before heading to bed. Unfortunately, the toddler area was closed. However, once we got a life jacket on Olivia, she took to the wave pool like a fish. We kept her towards the shallow end but she loved to splash and play in the water. So I knew she’d love the water park when we got the chance to visit the toddler area in the morning. I can’t forget to tell you about the view from our room! 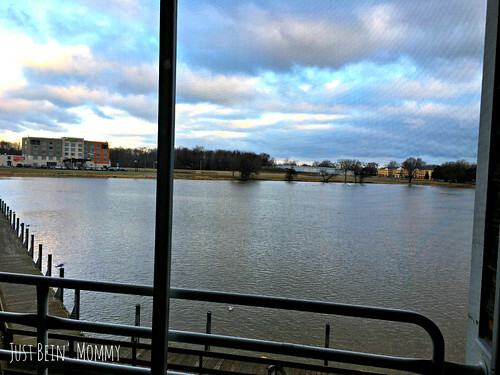 We happened to be in a starfish bayview room that overlooks the bay and lake Erie. It was beautiful the next morning! 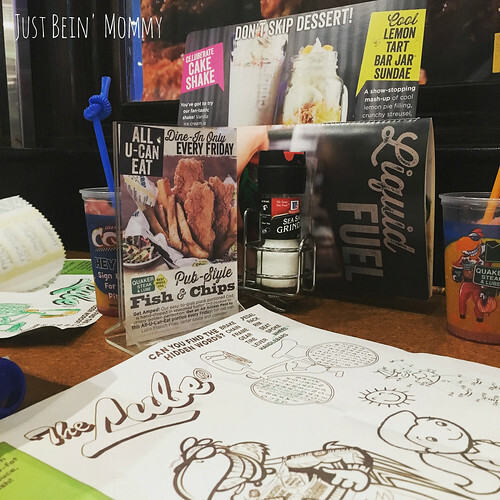 We took our time getting some breakfast and headed back down to the water park. I was excited because the toddler area was where Olivia could be most independent. They had a couple of slides she could go down (her favorite!) and plenty of space to walk around. But I’m pretty sure her favorite place is the wave pool. Since Paul and I were both there, we took turns doing things with the boys and playing with Olivia. We all (except Olivia) got to go down Rendezvous Run. And Paul convinced Hayden to go down the big slides with him. They had lots of fun. Check out the lay of the land below! 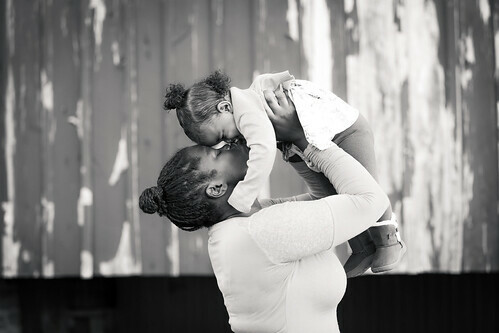 If you are looking for a fun getaway with the family, check out Castaway Bay! Day passes start at $25 and you can also stay at the resort. Passes to the water park are included in the hotel stay. You can also win day passes here! I have 4 day passes to giveaway! The giveaway is open to the US only and ends March 24th 2017 at 11:59pm est . Fill out the giveaway tools form below to enter. Solo: A Star Wars Story in theaters now!